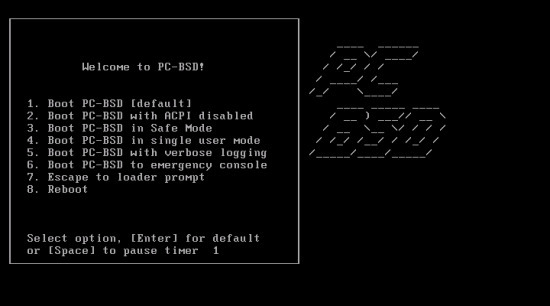 This document describes how to set up PC-BSD v1.4 beta. PC-BSD is released under the BSD license. 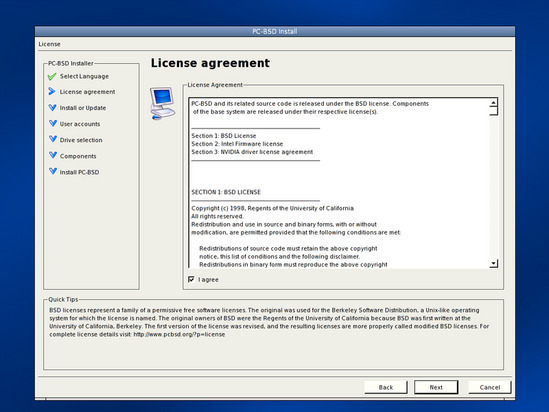 At the moment 1.4 beta is the latest version of PC-BSD - consisting out of two disc-images. The first image contains the basic files for the installation, the second image provides extra software, that can be selected later in the installation process. Download the images at http://pcbsd.org/?p=download14. The graphical installation, guided by the PC-BSD installer, is very easy as you will presently see. 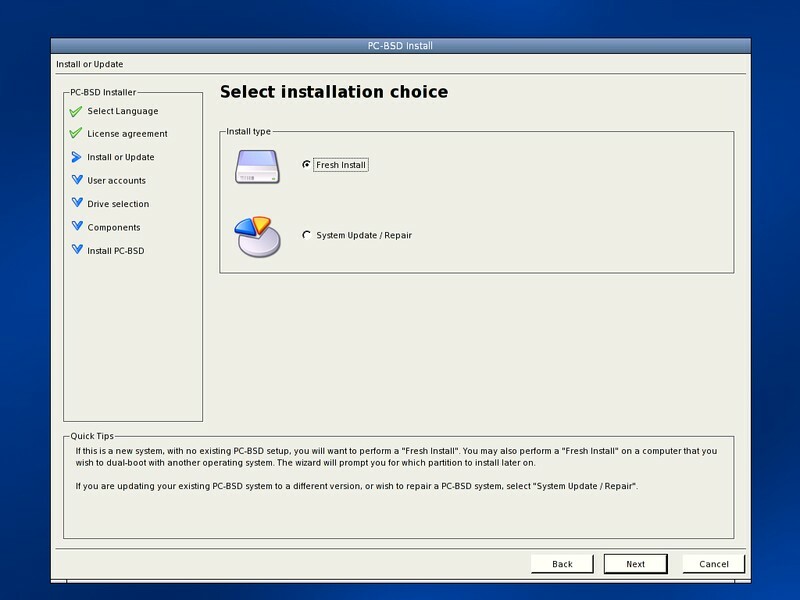 The boot screen provides a little menu where you can choose the kind of installation. Choose 1 or wait a few seconds if you don't have specific reasons to choose another option. At this point you have to choose your preferred language, keyboard layout and timezone. You have the optional choice to use automatic time-synchronization via NTP and to submit anonymous user statistics to bsdstats.org. If you agree with the license agreement select the checkbox, else abort the installation. Choose the default for a fresh installation. At this point you have to choose the root-password and are asked to create one or more user accounts. If you have entered the data for a user, click "add" to commit the data. 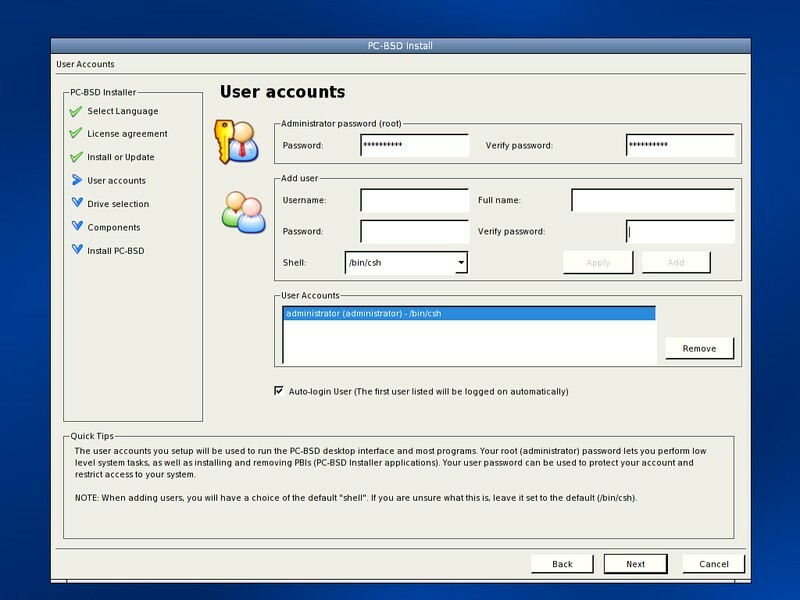 The created account will be shown in the window "User Accounts". If you wish to automatically log in the first user created, select the corresponding checkbox. Keep in mind, that there won't be a password request for this user.